AiClay - a Haven of Miniature Food: Are you a mom? For all the washing of dishes, nagging over the phone, making sure we eat our greens, laundry-washing, preparing our meals, being our alarm clocks in the morning..
Moms, you are the most amazing people ever. 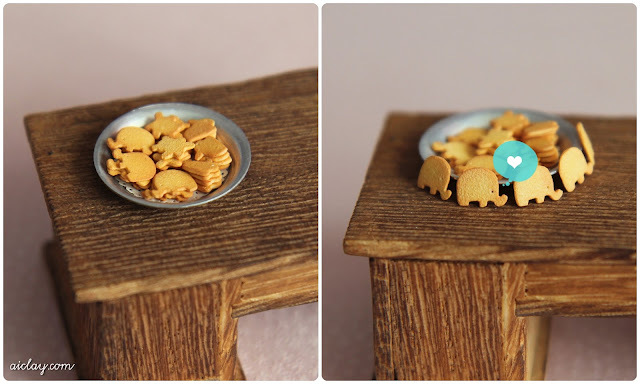 Miniature zoo of animal cookies. To my own mom, I love you and for everything you do for me. Que trabajo tan hermoso y bien hecho! Rosamargarita: happy mother's day to you! ♥ and thank youuuuu! how to break fast & photos from Mother's Day. How I lost my voice.